Whether a hospital is just implementing a Hospital Intranet or the Intranet has been up and running for a number of years, making the home page interesting and functional should be one of the highest priorities for any intranet content administrator. The home page is what your users will see when they access the Intranet site and it is what will either entice them or stop them from looking beyond it for relevant content and useful information. Intranet portal administrators often spend a lot of time reviewing and building sub-pages, reviewing site analytics, managing documents, hospital policies and procedures, or setting up online fillable forms. This work is extremely important and must be done. But equally important is maintaining a constantly functional, and inspiring home page. The old saying that one should not judge a book by its cover just does not apply to Intranets. Here are 5 ideas for content that should likely land on your hospital Intranet home page. A picture is worth a 1000 words. 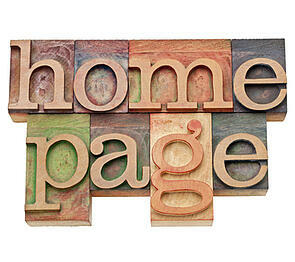 Having interesting, fresh and uplifting images on the home page will naturally draw attention of Intranet users. A rotating set of images will be even better as it will allow to present a lot of information and takes very little real estate on the page. Such images can be linked to other relevant pages, documents or announcements. Typically when an Intranet is initially launched the marketing department creates a set of great looking images that are refreshing and motivating. However, if these images are not often updated, they will very quickly become boring, old and uninspiring. Therefore it is critical to have a process in place to update these rotating images at least once a month. If page designers are running out of ideas for relevant images or news stories, it may be helpful to allow hospital staff to submit their suggestions. This can be done by creating a quick link to a submission form right next to the image gallery and ask users for their ideas for upcoming messages. Also, it is equally important to make sure that new images are done professionally so they blend well with the overall design of the site. Otherwise your Intranet can turn quickly into a 1990’s clipart gallery that no-one will want to look at. An Intranet in a hospital environment should serve as a portal to relevant information that nurses, doctors as well as administrative and support departments use on a daily basis. Having a quick links section that clearly lists pages and resources utilized by staff is a “must have” on a hospital Intranet’s home page. These links should provide an easy access to often complex URLs, Single Sign On links, documents or internal pages that staff needs to have access to on an ongoing basis. This will include links to most often used clinical policies or procedures, Learning Management Systems, clinical systems, facility or IT ticket submission screens, etc. A good approach is to include icons or other visual indicators in addition to or even instead of text description that would help staff recognize and easily click on relevant links and resources. At the same time, page designers should keep in mind that having too many links listed in one directory is often worse than not having them at. Keeping the list narrowed down to 5 to 10 most used links usually makes sense. An important aspect of effective quick links is keeping them specialized to your audience. If an Intranet is configured for pass-thru authentication (more on it here) it may be possible to personalize these quick links based on user profiles and display only the relevant links for each user. One of the reasons Facebook is so popular is that it allows to share updates within a community of friends. Everyone wants to read about our friend’s successes and achievements. The same concept can be utilized in a professional work environment such as a hospital to highlight your best performers and key employees and at the same time make the hospital Intranet page more interesting. One option is to have the employee of the month highlight right on the home page. Since the Human Resources department already manages this information and has the photos as well as award nomination text this content can be easily repurposed with very little effort. Another, and a more “social” way to highlight your best employees is to configure a “Kudos” forum where employees themselves can post their nominations and “thank you” notes for other staff that went above and beyond assisting co-workers or patients. While initially your leadership team may be resistant with an idea that “anyone” can post these messages, since forums can be set up to only allow posts to authenticated users, it is not likely anyone will post negative information. Typically home pages include hospital and community event listings and calendars. While this is great and certainly it is a required component on a Hospital Intranet home page, these announcement can be supplemented with other current updates directly from the leadership team. We live in a world full of blogs, video blogs, tweets and newsfeed. Why not post blogs right on your hospital Intranet’s home page. It will make it that much more interesting to your users. Whether sharing information on construction or financial updates, new department openings, new staff, or new initiatives, certainly there will be no shortage of information that staff can be updated on. And if this information comes directly from the leaders and management, it will only add more credibility and sincerity to the messages. And a great think about blogs is that they can be published at any time by authorized staff, and they don’t need to be very long or take a lot of time to create. Another great way to make the home page fresh is by utilizing external content. This can include widgets (such as weather or traffic widgets) or RSS feeds from trustworthy sources that can be directly integrated into a page. Since almost any relevant topic can now be accessed via a widget or an RSS feed, it may be tempting to include multiple news sources right on the home page. However, Intranet users rarely scroll down the page to read all of the content. Therefore, to prevent from overcrowding the page, the administrators should be very selective in picking the most relevant external content sources.